Following arson damage the Skatebowl in the Louie Memorial upper playing fields was condemned by the Council’s insurers and was filled in (October 2010) to prevent further unauthorised use. Parishioners are advised that the Parish Council deposited the following documents in relation to the arson attack of the skatebowl in the Louie Memorial Upper Playing Fields. Copies of the reports have been put in the Reference Section of Botley Public Library. 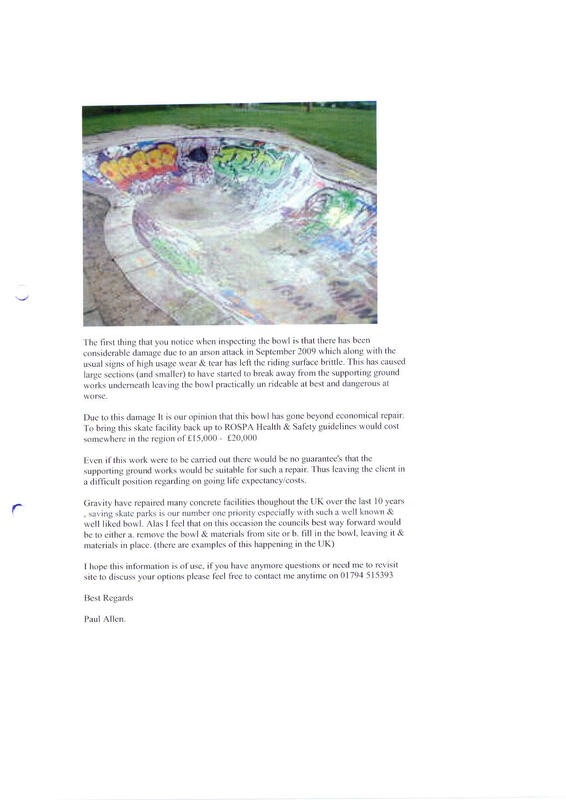 In 2012 the Council received a petition for a new skatepark. To view, click on the items below.